FORT WORTH, Texas, Jan. 3, 2019 – One of downtown Fort Worth’s architectural gems will undergo a significant renovation, expanding its office-building roots to include street-level restaurants and retail, and a new pedestrian-friendly green space for the surrounding plaza at 500 West 7th Street. Renamed First on 7th, the former Bank of America Center (originally First National Bank of Fort Worth) is a 21-story tower on the west end of downtown that features the clean, geometric lines and spare décor emblematic of mid-century modern design. The building was penned by New York’s Skidmore, Owings & Merrill, along with associate architect Preston M. Geren of Fort Worth. Completed in 1961, the complex is set off by three modernist outdoor sculptures by Isamu Noguchi, one of the 20th century’s most celebrated designers. The First on 7th name pays tribute to the building’s Fort Worth history and its prominence as the western entry to downtown. The project is led by Red Oak Realty for the owner, First on 7th Limited Partnership, both Darden family entities. Completion is scheduled for year-end 2019. · Remodeling of the expansive lobby to remove visual obstructions and emphasize the works of renowned artists of the mid-century period. · Retail and dining establishments (details to be announced soon). “With the advent of new residential developments on downtown’s west end, and the area’s increasing popularity as a place to live, work, shop and eat, we think the time is right to bring these amenities to this part of the central business district,” said Red Oak Realty President Jack Clark. — Andy Taft, president of Downtown Fort Worth, Inc.
First on 7th closely follows the form of New York City’s famed Lever House, also a Skidmore, Owings & Merrill design, which was completed in 1952. Like Lever House, and Skidmore’s 1955 Manufacturer’s Trust Company building, First on 7th draws from the era’s “less is more” minimalism promoted by Mies van der Rohe. It inspired the design of the nearby Burnett Plaza building, Fort Worth’s tallest skyscraper, which was completed in 1983, and later the neighboring Cantey Hanger building, finished in 2007. 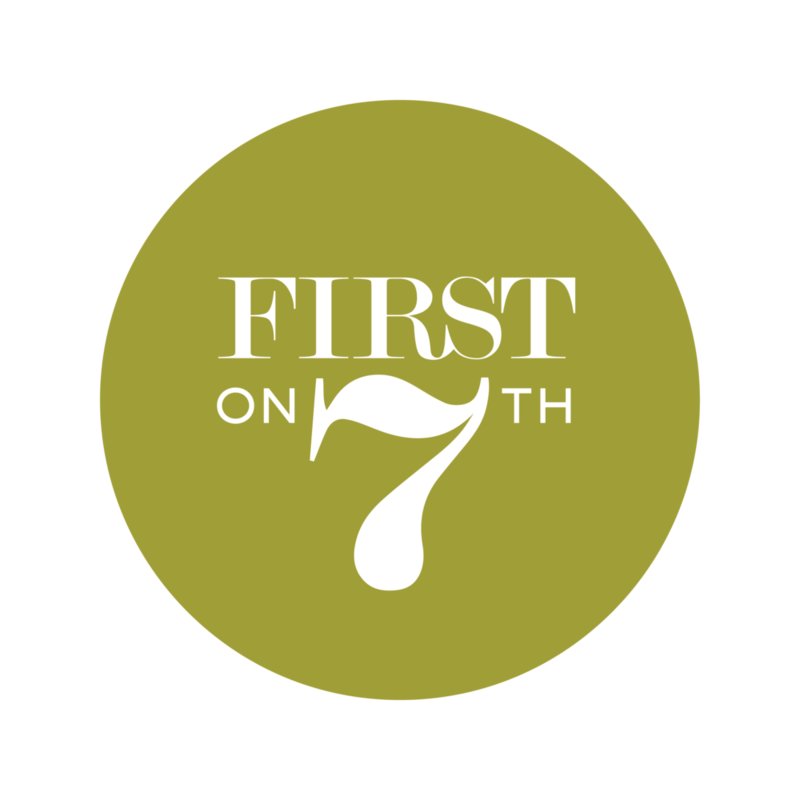 Click here for a gallery of historical photos from the archives of First on 7th.